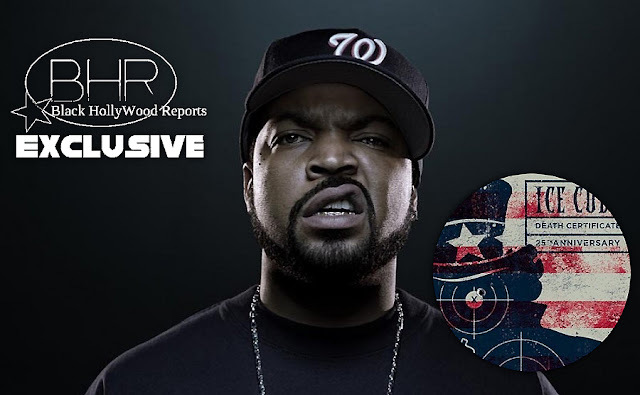 N.W.A Star Ice Cube Is Back With New Music "Only One Me"
BHR Hollywood Reports........ Last week, it was released that Ice Cube had a new deal with Interscope records to reissue his 1991 classic LP ; Death Certificate. Celebrating his career , Ice released "Only One Me". Through Out The Track, The LA Native speak on his influences in Gangsta Rap : "Taught 2pac how to keep it gangsta, Showed Biggie Smalls how to release his anger ," Cube Raps. The project is set to be released next Friday , June 9th.